SEO content writing is an integral part of any digital marketing strategy. On average, organic search traffic represents 54% of website visitors and can therefore generate up to half of your sales. If your web content is not optimized to place you in the top search results, your customers will be heading to your competitors instead of you. At Mr. and Mrs. Leads, We specialize is SEO content writing services that boost your rankings as well as enhance your brand image. SEO is all about content. Whether it is for on-site SEO to make your web pages keyword optimized or for SEO techniques like article marketing and use of social media, an SEO article writing service can play an important role in promoting your website. With our SEO writing service, you get engaging, highly relevant, and keyword optimized articles for both on-site or article marketing use. 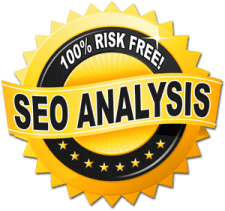 We can assign a professional SEO writer to create articles on a wide range of topics, and in whatever style that suits your purpose the best.